AMResorts, a subsidiary of Apple Leisure Group, continues to grow its commitment to sustainable practices with six resorts achieving Rainforest Alliance certification this year alone: Secrets Playa Mujeres Golf & Spa Resort, Secrets Royal Beach Punta Cana, Breathless Punta Cana Resort & Spa, Dreams Los Cabos Golf Resort & Spa, Now Larimar Punta Cana and Now Garden Punta Cana. As part of AMResorts’ involvement in the Rainforest Alliance program, the company has engaged its resorts in a variety of green initiatives. 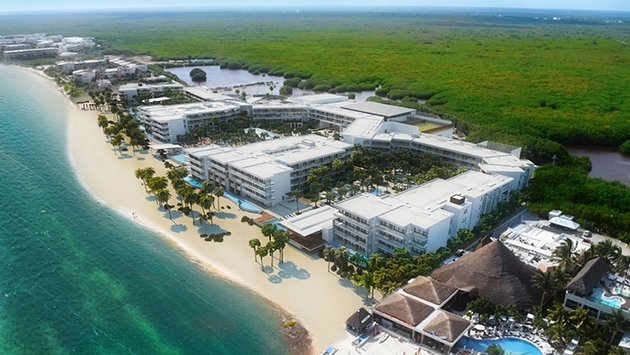 This includes celebrating environment-focused holidays such as Earth Hour and Earth Day, coordinating beach cleanups, sponsoring local schools and employing local vendors, limiting excess water by recycling on-property, and protecting local wildlife with activities like the turtle releases at Now Jade Riviera Cancun and Now Sapphire Riviera Cancun. Secrets Playa Mujeres Golf & Spa Resort is the latest resort to earn the esteemed certification, embodying the Rainforest Alliance’s green values through several key principles: sustainable management planning, quality management, human resource management and a food & beverage safety program. Beyond the recent certification, the resort was also awarded the Travelife Gold, an international sustainability accreditation for the management of social and environmental impact in travel destinations.